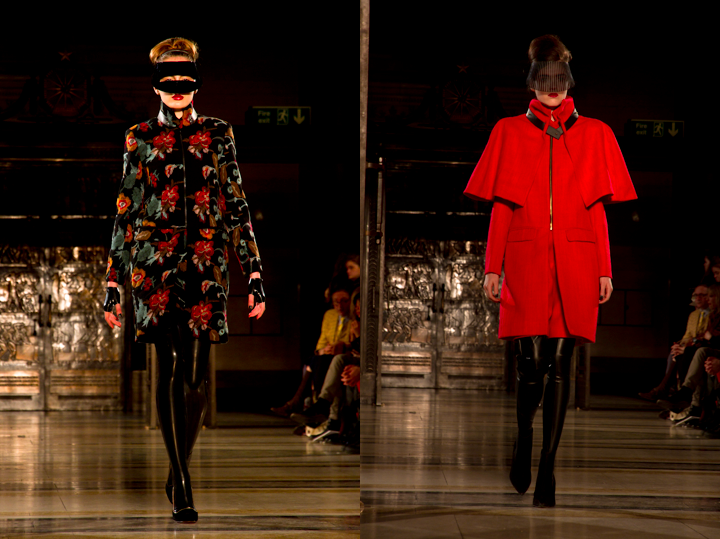 The Ashley Isham AW13 show transported it’s guests on a journey from the futuristic realm of geometric tailoring and Helmut Newton inspired monochrome dresses; to the more delicate world of hi-octane, luxuriously embellished evening wear, decadent fabrics and exotic silk prints. 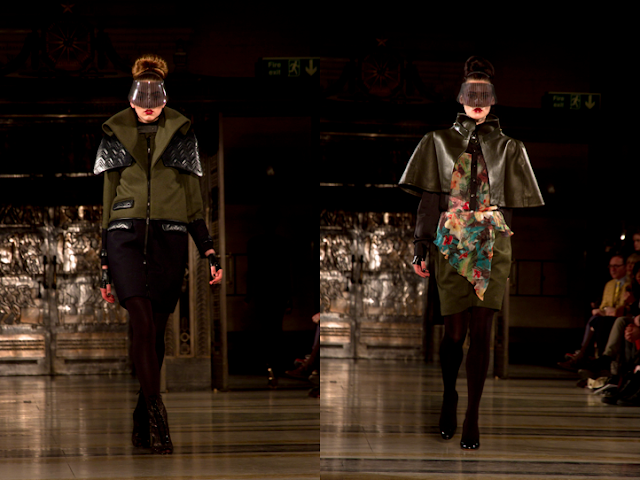 Although the collection was dramatically futuristic, it personified chic, elegant wearable womenswear. Feminine drapes and fitted layer skirts were contrasted with ultra-fitted leather look leg wear and heavily conceptual, high shine visors met by a modern interpretation of the Bridgette Bardot-esq beehive. Outerwear possessed statement shoulders with detailed collars, cuffs and capes, showcasing hand quilted, Art Deco inspired, chevron pattern. The colour scheme started purely monochromatic, introducing dusky khakis gold sequins, rich red hues and violet blue as the show progressed.